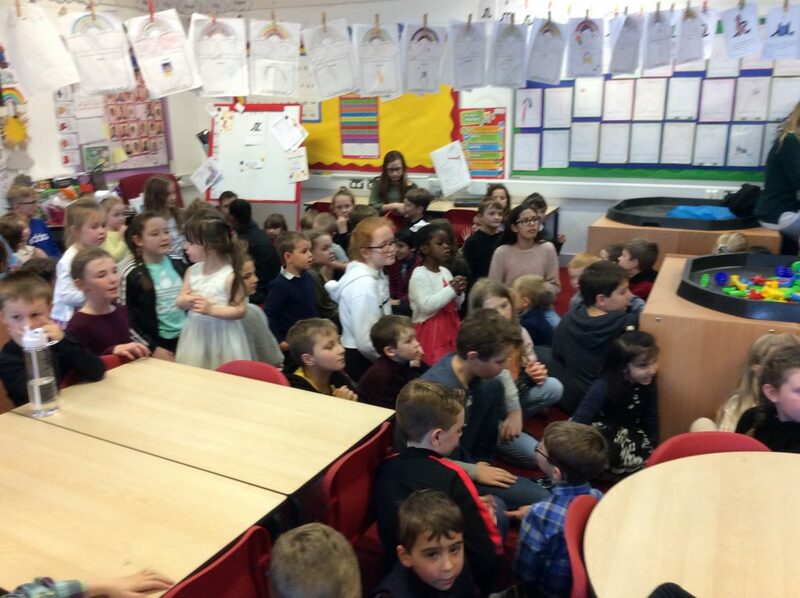 The children had a wonderful time today celebrating the Wedding of Mr and Mrs Cadge. 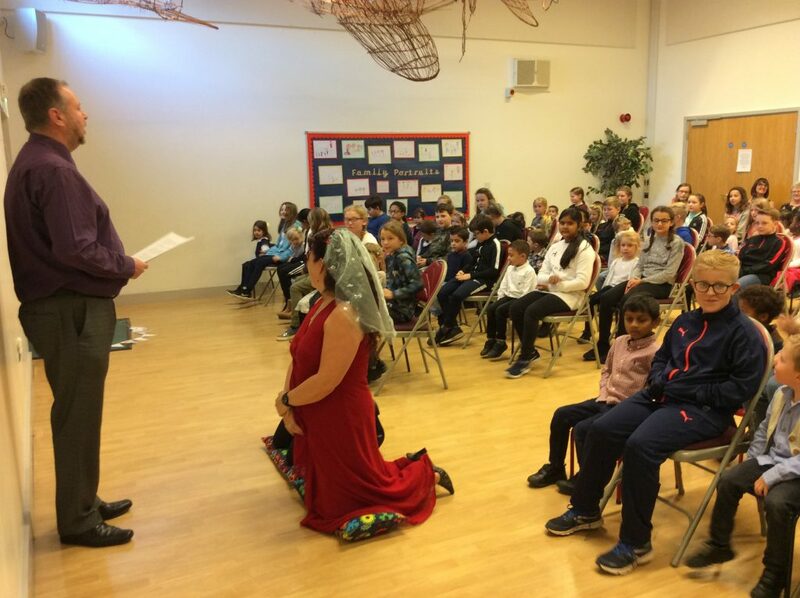 The Bride was wearing a veil and holding a bouquet made by the children’s themselves and the Groom wore a matching buttonhole. 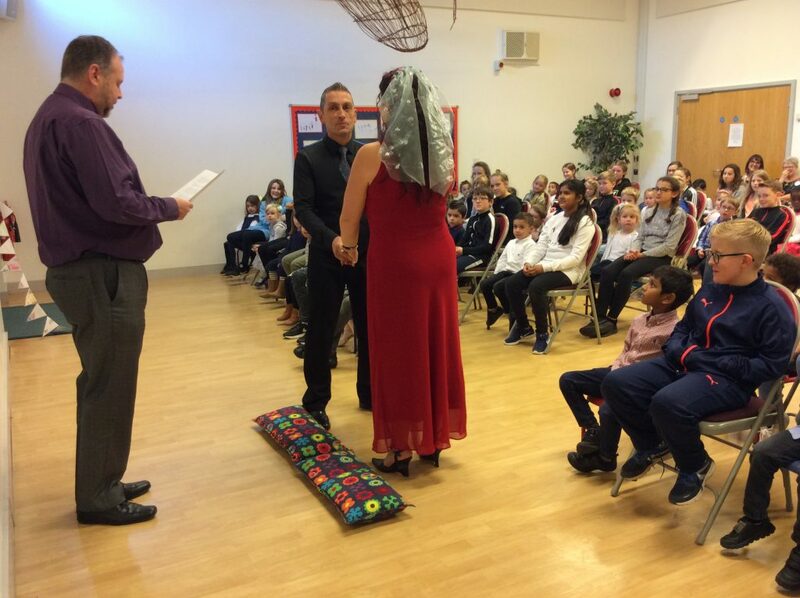 The ceremony itself was conducted by our very own Rev Thomas and was full of love and laughs! 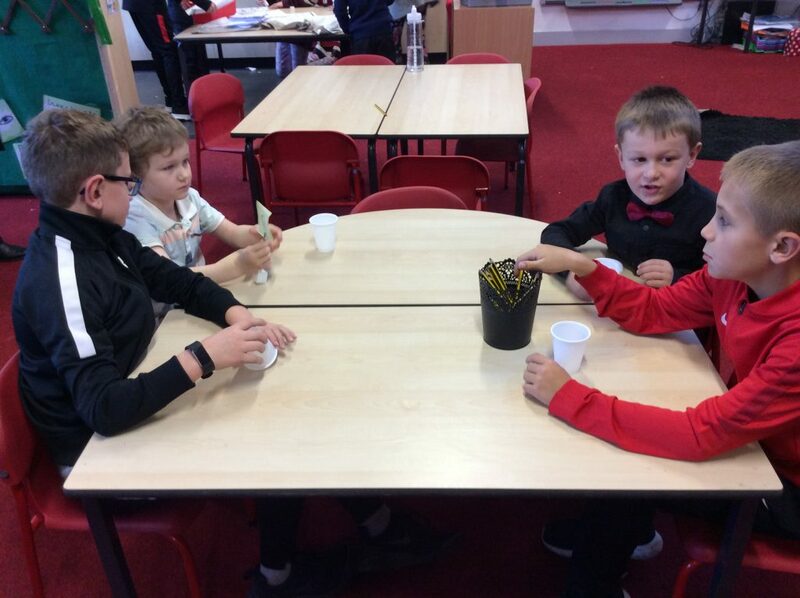 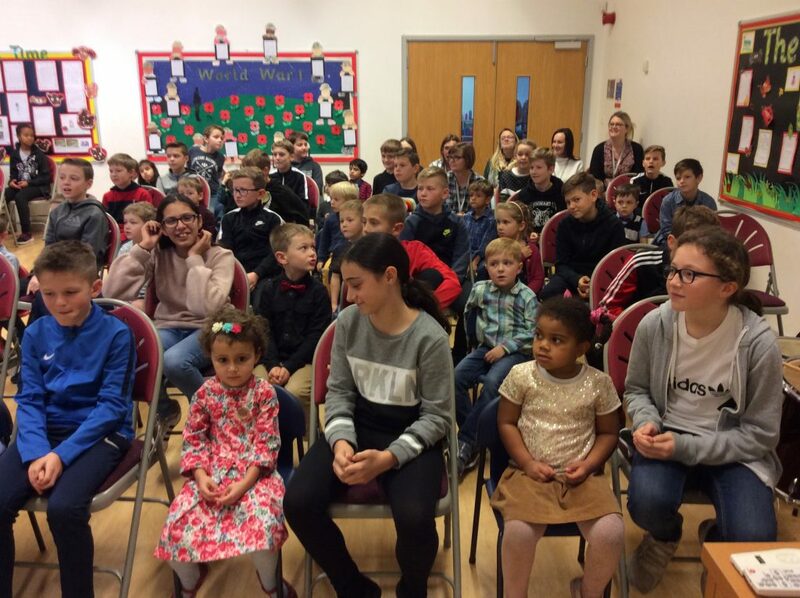 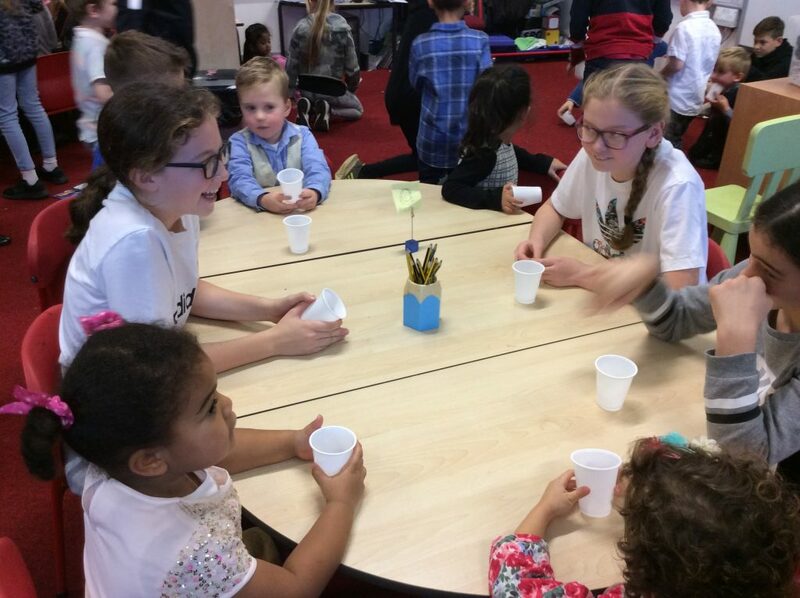 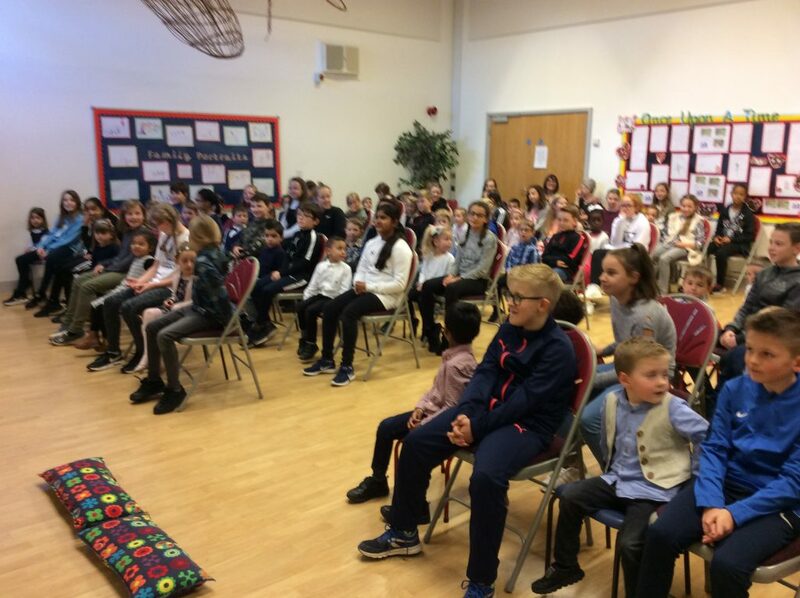 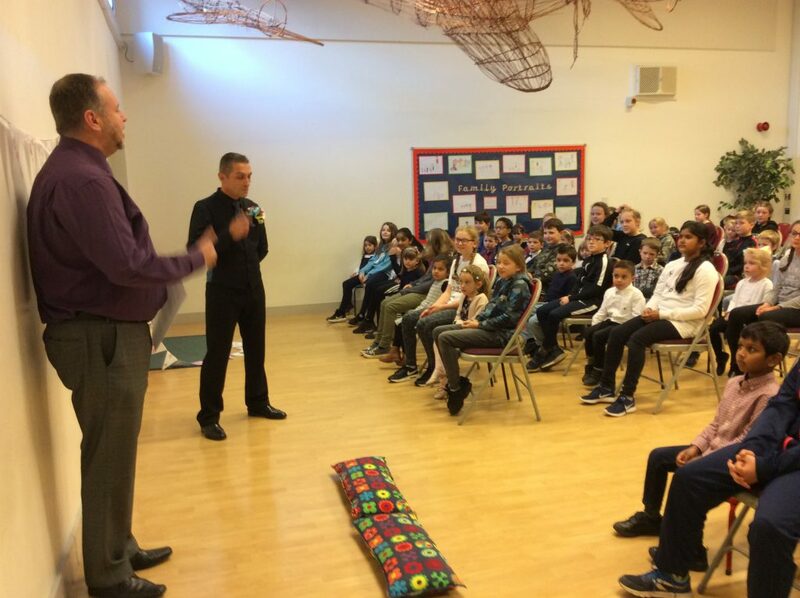 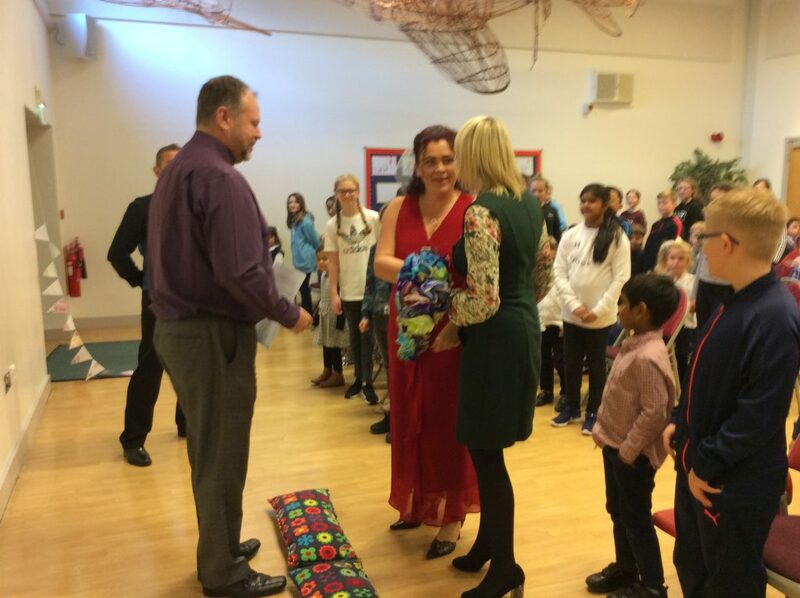 The children attended with their Year 6 buddies and all children were respectful throughout and enjoyed throwing confetti as the happy couple left. 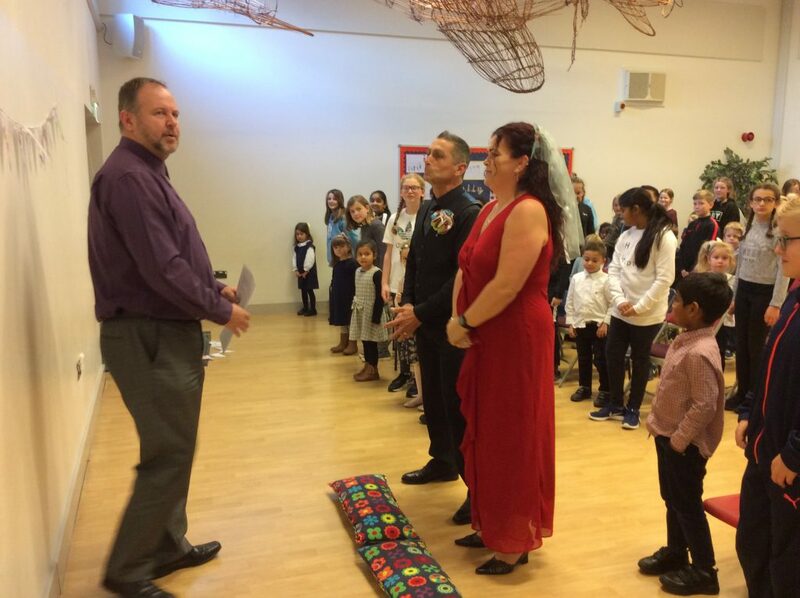 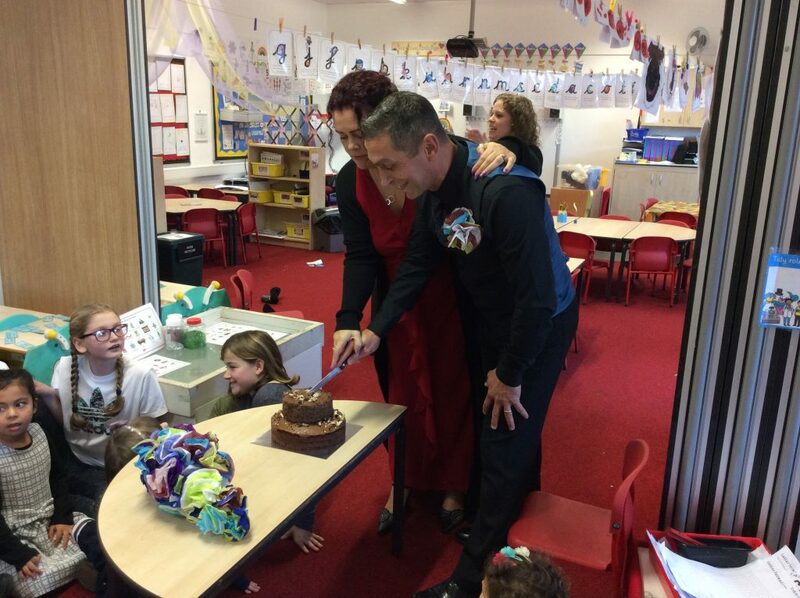 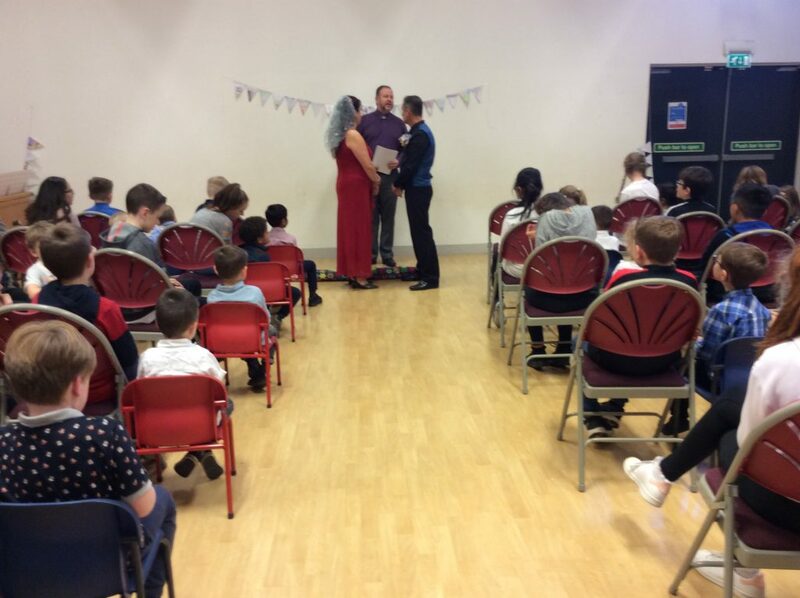 After the Ceremony all children and staff attended the Reception in the Foundation Stage class rooms where they watched the newly wedded couple cut the cake. 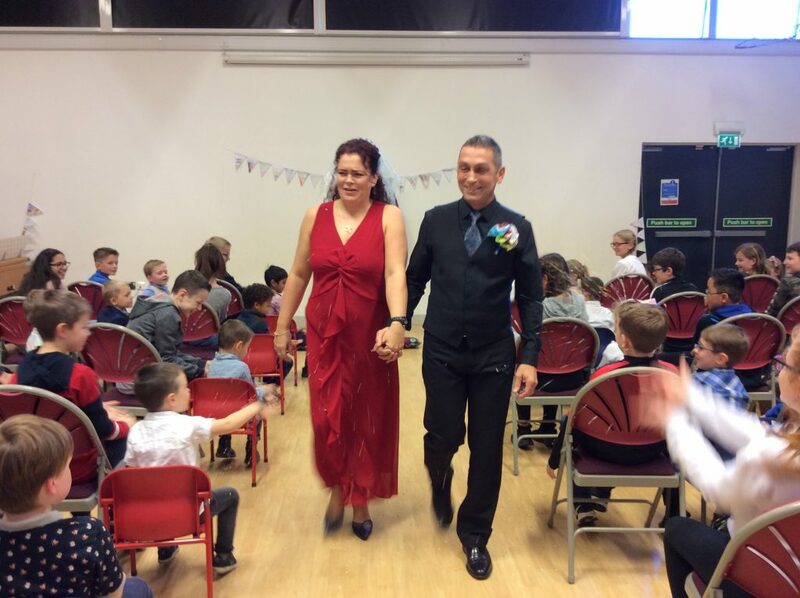 Following this the children danced to music, drank squash and ate cake. 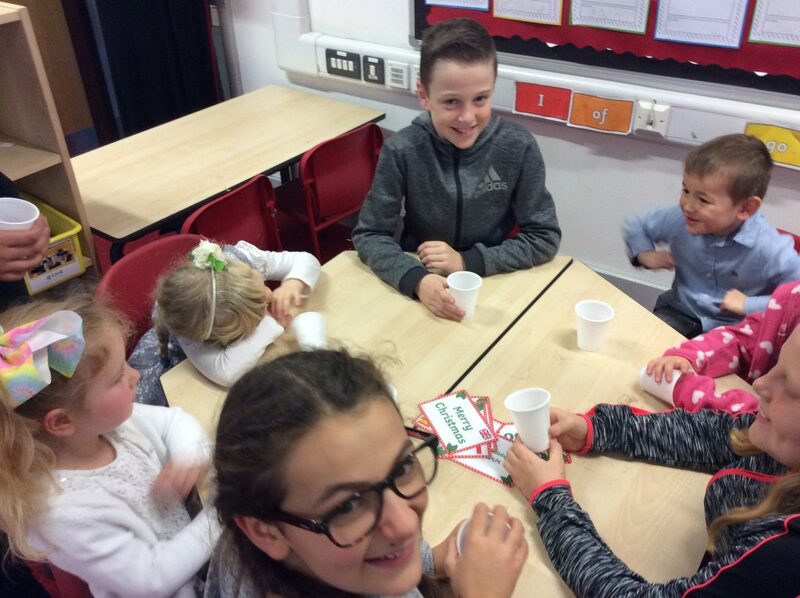 What a wonderful end to the week.